Award winning Australian singer-songwriters Jasmine Rae and Catherine Britt headline Nu Country TV on Saturday September 8 at 9 pm on Channel 31/Digital 44. Texan Granger Smith who toured here with Jasmine in July also returns to the show hosted by Mid Pacific Bob Olson and repeated Sunday at 11.30 pm and Monday 3 pm. 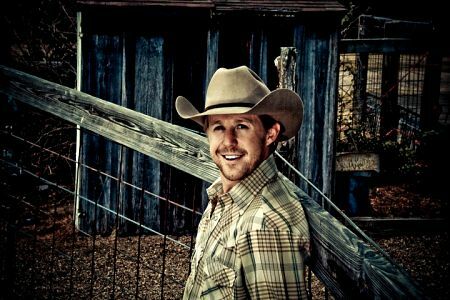 Fellow Texan Kyle Park is joined by western swing king and TV host Ray Benson in his return to the program filmed and edited by Laith Graham. Missouri minstrel Tyler Farr and acclaimed bluegrass band The Punch Brothers also perform live in their latest video clips. Fawkner singer-songwriter Jasmine Rae returns with a live performance from Tamworth early this year. Jasmine, 30, performs I Faked It from her fourth album Heartbeat. “It's one of the most popular songs we play live,” Jasmine revealed. 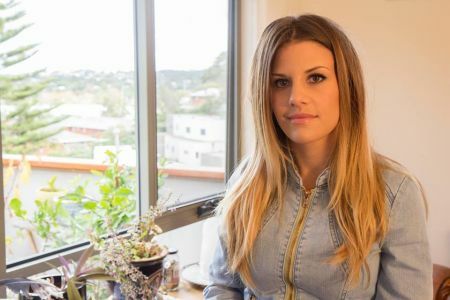 Her recent Australian tour with Texan Granger Smith included the famed Village Green Hotel in Mulgrave. “I love Granger Smith,” Jasmine confessed. Jasmine hosts her own TV show Live On The Lot on fledgling Australian culture-orientated VOD service, SKIPI TV . Her first interviews feature Sarah McLeod, who also performs songs from her new album Rocky's Diner , Kiwi soul singer Tami Neilson and country artist Christie Lamb. The show is based at FOX Studios in Sydney and features original video content from the worlds of music, film, television, fashion, gaming, politics and sport. CLICK HERE for a Jasmine feature in The Diary on August 31, 2015. Novocastrian Catherine Britt returns with her acoustic take of a big hit for bluegrass legend Alison Krauss and Brad Paisley. Catherine, now 33, performed Whiskey Lullaby during her recovery from cancer. Britt and husband James have a son Hank and publish popular music magazine Rhythms . She recently released her seventh album Catherine Britt and The Cold-Cold Hearts . CLICK HERE for her new CD feature in The Diary on August 27, 2018. CLICK HERE for a Britt CD review in The Diary on April 27, 2015. 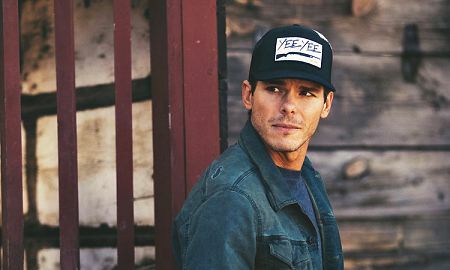 Dallas born Granger Smith takes viewers on a trip back to small town bliss and nostalgia in his cinematic video clip Tailgate Town on his eighth album Remington. It was a bucolic back track for Granger, 38, who also records and performs as Earle Dibbles Jr. 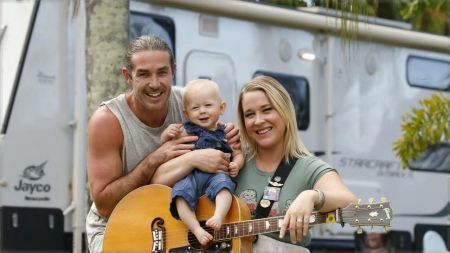 He played Groundwater festival at Broadbeach on the Gold Coast in July and the Village Green in Mulgrave with Jasmine Rae and 11 th CMC Rocks Queensland festival in Ipswich in March. Smith has since released videos for Happens Like That and You're In It from his ninth album When The Good Guys Win. You're In It stars Smith's wife Amber as getaway driver for a crew of bank robbers played by Texas country artists Parker McCollum and Koe Wetzel trying to get cash to save his grandfather's farm. Smith moved to Nashville at 19 for five years and performed for American troops in Iraq and Kuwait in 2008. Granger lives in Texas with Amber, whom he met in one of several of his video clips in which she appeared, their daughter and two sons. CLICK HERE for a Granger Smith-Jasmine Rae Village Green live review in our Concerts Section. Fellow Texan Kyle Park shops for fireworks and other delicacies on July 4 in his welcome return to our show. Park now calls Austin home and was joined at the checkout counter by Texan TV show host and Asleep At The Wheel western swing king Ray Benson. Ain't Nobody Hotter is on the 34-year-old singer's eighth album Don't Forget Where You Come From. Park appeared on Nu Country with his humorous video for Rednecks With Paychecks from his sixth album Roof Top Sessions , recorded in a house on the banks of Lake Travis in Austin. He also showcased Don't Forget Where You Come From, What Goes Around, Comes Around, Turn That Crown Upside Down, Long Distance Relationship and George Strait tribute Fit For the King on Nu Country . 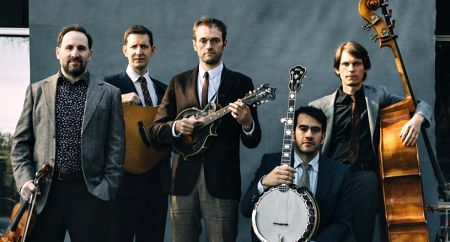 Acclaimed bluegrass combo The Punch Brothers, who started in 20O6 as How To Grow A Band, return to Nu Country TV with tasty picking in their video for It's All Part of The Plan on seventh album All Ashore , out in July. All Ashore follows critically acclaimed T Bone Burnett produced 2015 disc The Phosphorescent Blues. The quintet - guitarist Chris Eldridge, bassist Paul Kowert, banjo player Noam Pikelny, mandolinist and lead singer Chris Thile, and fiddler Gabe Witcher - attempt to make sense of the world around them. “The album is a meditation on committed relationships in the present day, particularly in the present political climate,” Thile revealed. Punch Brothers returned to the same room at United Recording Studios in Hollywood (formerly Ocean Way ) where they had recorded both The Phosphorescent Blues and 2010 Jon Brion produced Antifogmatic. Missouri minstrel Tyler Farr and his band return live and acoustic after recent Australian tours. Tyler was almost upstaged by his colourful guitarist with matching horizontal hair and beard. Love By The Moon is on the 34 year-old singer's third album. Farr previously appeared on Nu Country in an ice bath to psyche himself in Withdrawals - an apt metaphor for ruptured romance from his second album Suffer In Peace that peaked at #7 on Billboard . He also showcased videos for A Guy Walks Into A Bar and Whiskey In My Water from debut disc Redneck Crazy that reached #28. Farr co-wrote songs Hey Y'all for Colt Ford and She's Just Like That for Joe Nichols. In 2012 Farr released debut single Hot Mess , written with Georgian Rhett Akins, and moved to Columbia to release second single Hello Goodbye . 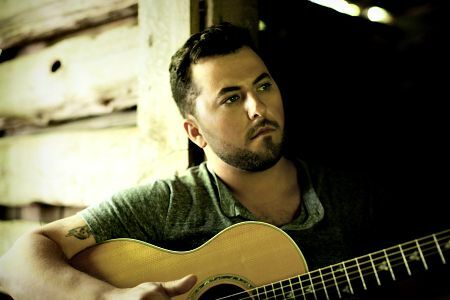 CLICK HERE for a Tyler Farr review in The Diary on July 13, 2015.